Legislative Reference Library | Legislators and Leaders | Lt. 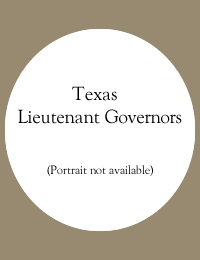 Governor William Pettus Hobby, Sr.
LRL Home - Legislators and Leaders - Lt. Governors of Texas, 1846 - present - Lt. Governor William Pettus Hobby, Sr.
Full name: William Pettus Hobby, Sr.
*Hobby served as acting governor during the James E. Ferguson impeachment proceedings from 8/25/1917 to 9/25/1917. Hobby succeeded to the governorship following Ferguson's removal from office on 9/25/1917. Senate presidents pro tem Smith, McNealus, Dean, Johnson, Decherd, Johnston, and Strickland filled in for the vacancy until Willard Johnson was inaugurated on January 21, 1919.